One thing that annoys me a lot about Windows is the incredible amount of time the computer takes to move or copy files from one location to another. Fortunately I can now use a tool that fixes this issue. 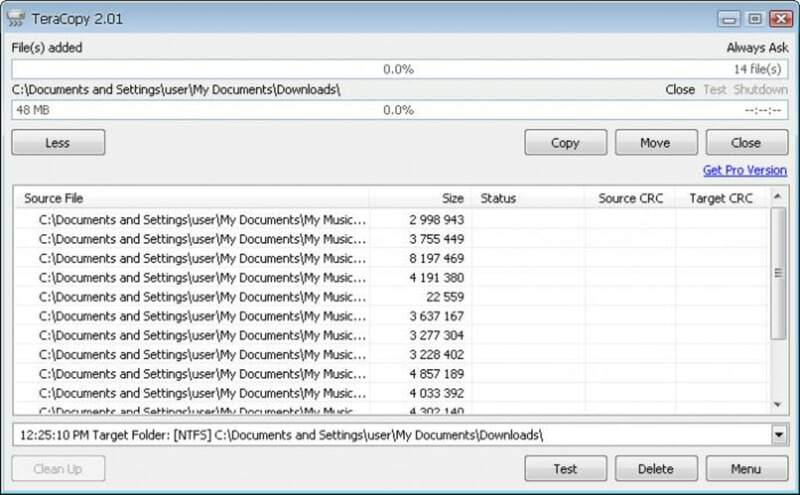 TeraCopy enables you to copy and/or move files within Windows in a much faster way – an improvement you'll be especially grateful for when dealing with several gigabytes of data. 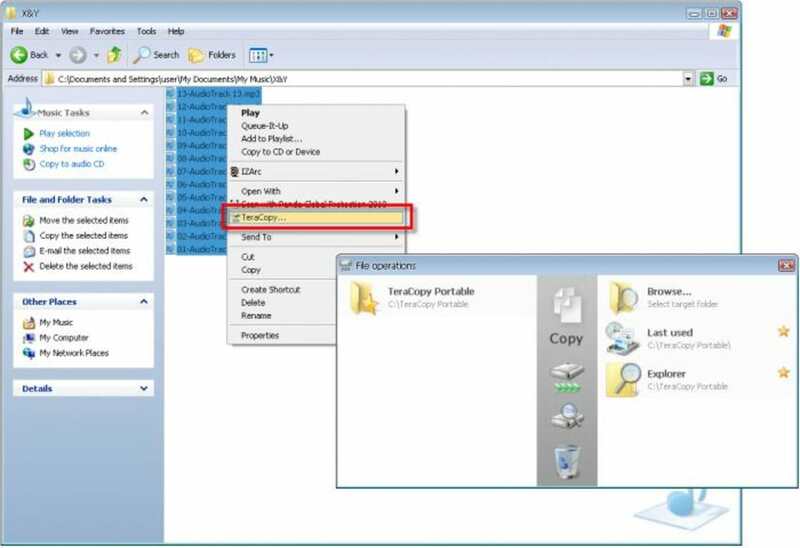 The program couldn't be easier to use: simply select the files you want to copy or move, right click with your mouse and select the "TeraCopy" command. The program will launch a window where you can select the target folder and the correspondent action (move, copy, test). TeraCopy can also be launched on its own, in which case you'll need to drag and drop the files you want to copy or move onto the program's window. This method though is not as intuitive as using the right-click menu, as it takes a while to find the basic menus and options in TeraCopy's interface. 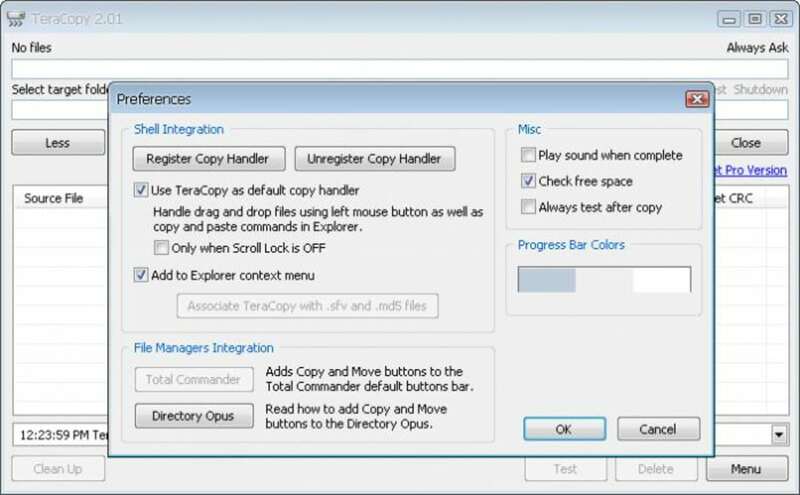 TeraCopy copies and moves large quantities of files much faster than the standard Windows file manager. Added: Better USB devices ejection. Added: Option ‘CardReader’ to ini file. Added: Option ‘ForceSameDriveMode’ to ini file. Added: New language strings. Fixed: Crush when testing md5 files. Fixed: Always test target folder and request admin privileges if needed. best app for fast data transfer. it takes very short time to transfer videos. Teracopy is the solution to tranferring data quick.. Windows file transfer was consuming so much time while transferring large chunks of data,but with teracopy the time consumption reduced drastically. Thumps Up!!! Quick transfer of large chunks of data. Ability to stack multiple data transfer tasks.